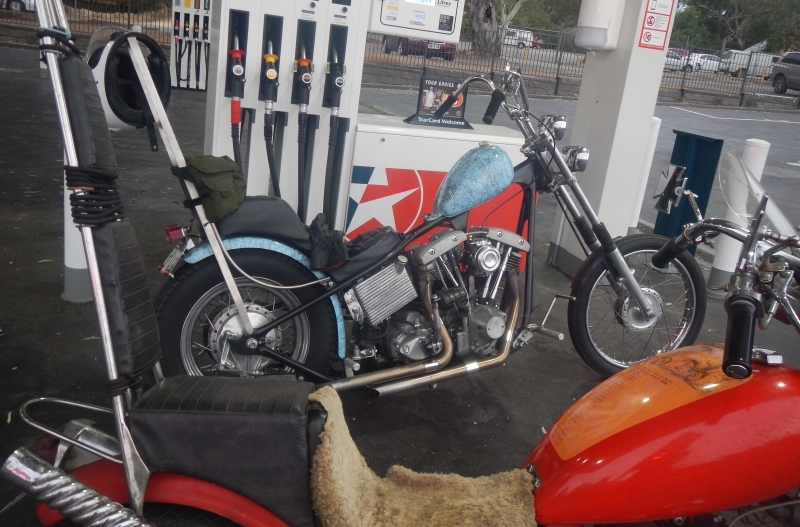 He spent an hour or so checking out all the goodies and making up a new air filter foam insert while I helped a mate set up a few more security cameras in the workshop. 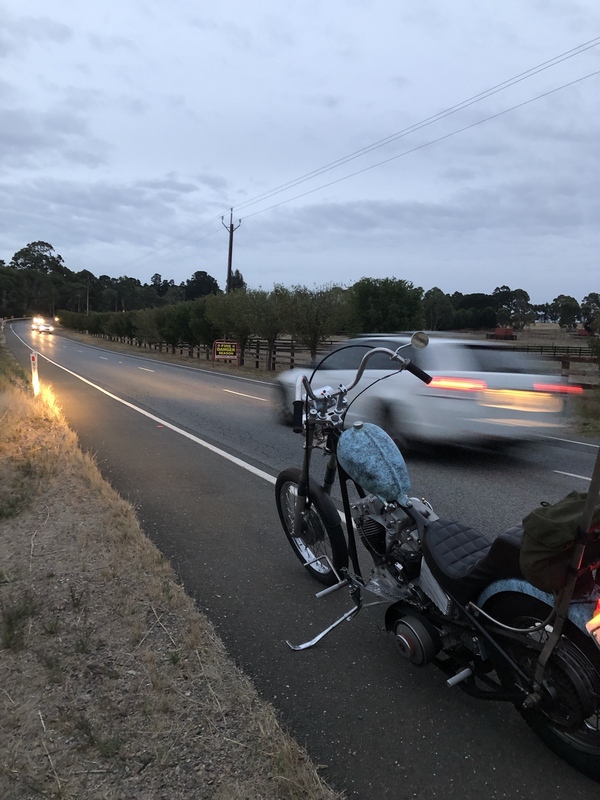 Waved him goodbye at the Meadows turnoff and cruised back home via Kangarilla and McLaren Flat. 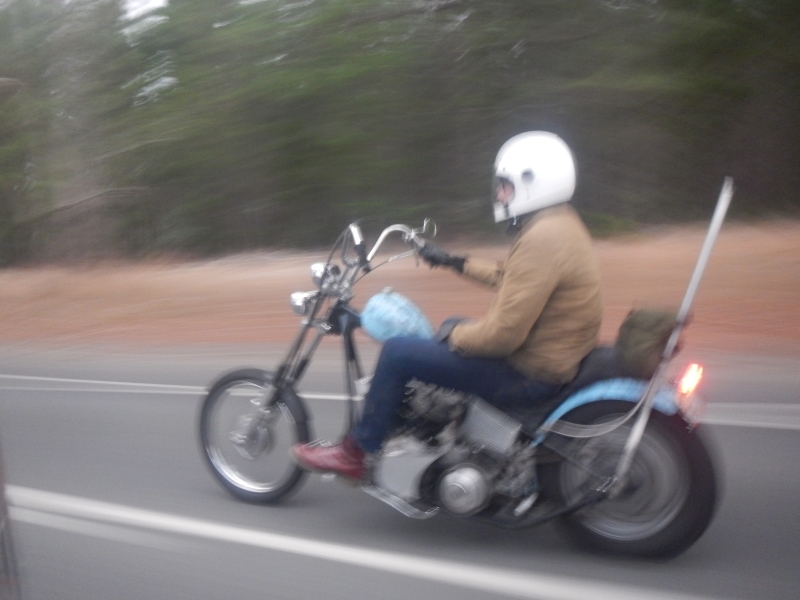 Passed a nice hotrod, but hit a bump as I clicked the shutter and the shot was blurred. 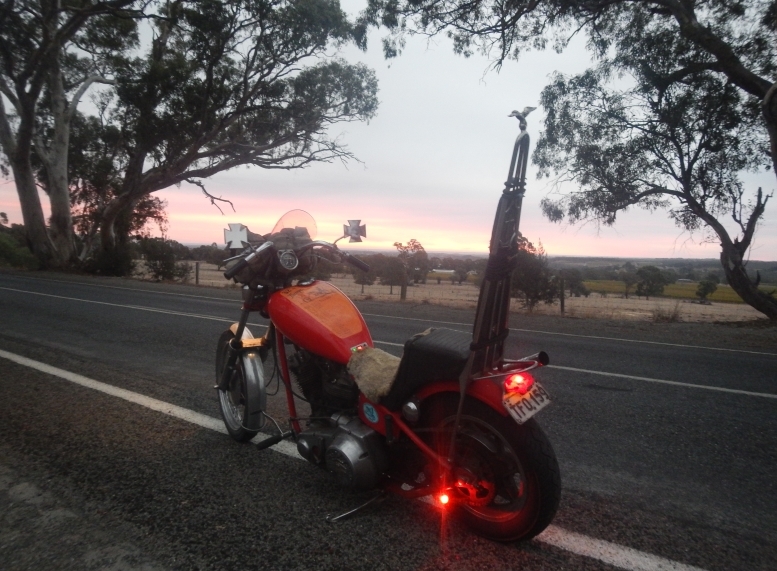 Nice sunset as I got close to McLaren Flat and had to stop for a scenic shot. 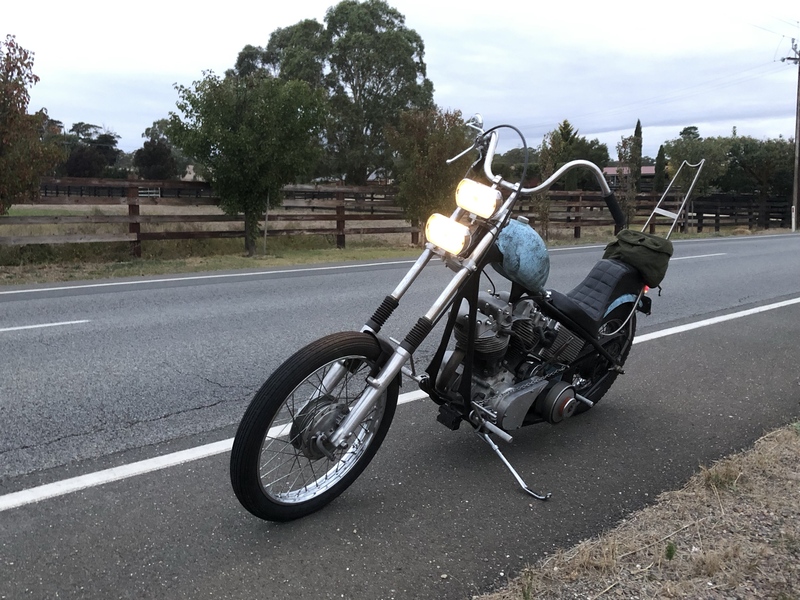 Beautiful ride, just does wonders riding a chopper that fits like a glove and runs like a dream (Not a Honda Dream silly), so came home refreshed and invigorated. Some of us are just lucky I guess. Great recap and some cool photos. Nice to catch up. 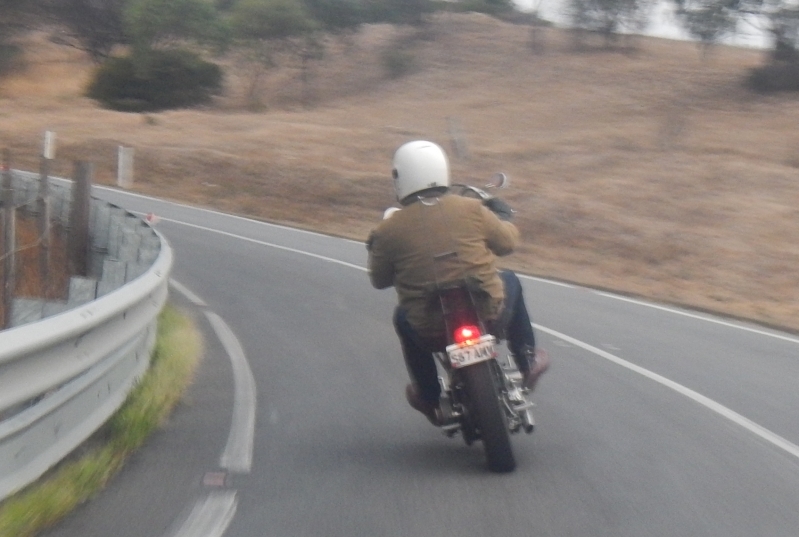 I may be tall and not quite an athlete, but that rear shot demonstrates how narrow Harleys of the era can be. Really enjoyed a casual ride, who cares if cars were flying past us at speed. Tend not to ride much during summer so this was the first decent ride I’ve been on in a while. I always seem to do more riding in winter and have a bike in pieces for summer!! 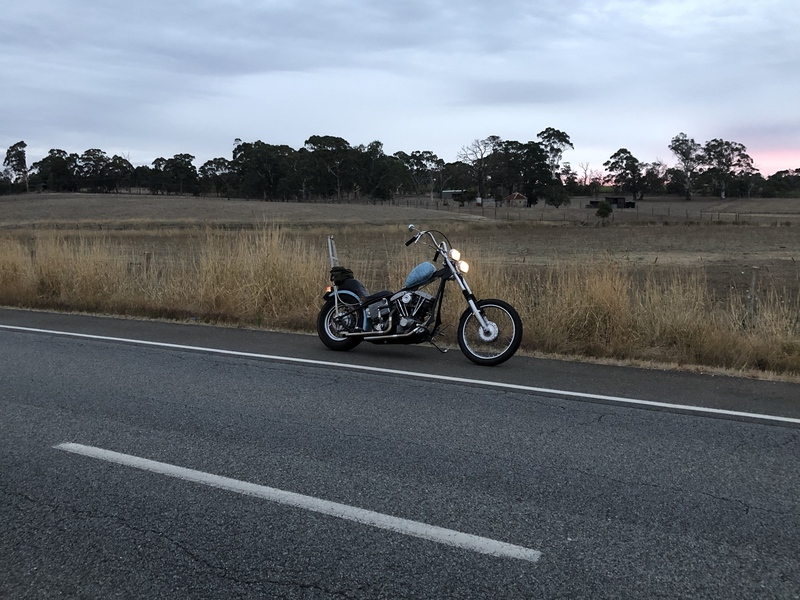 I stopped on the roadside about 5 minutes from Hahndorf and just had to take a photo or three before the sun disappeared. Matched set of Lucas Square 8’s lighting my way. A ‘Set’ of lights uses two different lenses that project different beams. 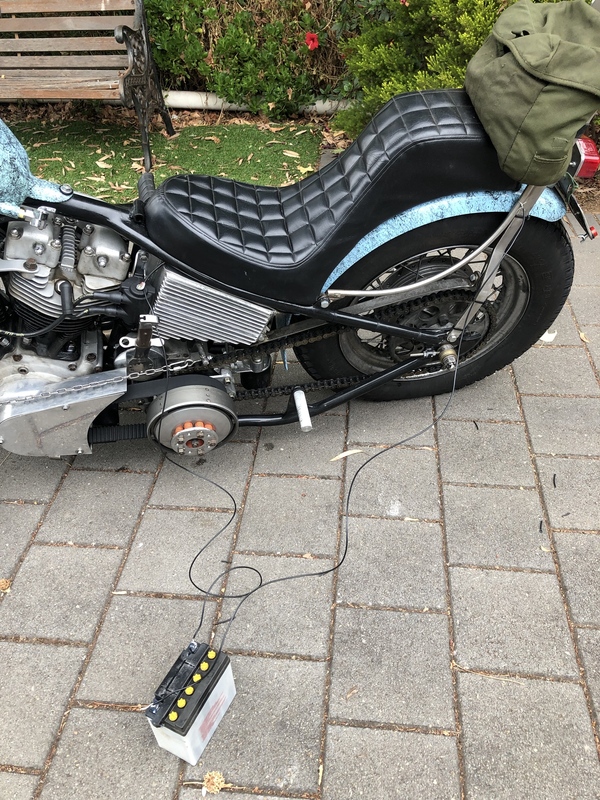 And forgot to mention, the whole day started off with a Completely dead battery, thanks to my absent mindedness leaving the ignition on last time I was doing something to it. Easily fixed with a bit of juice and some wire, the joys of a well tuned, easy starting kick only bike! Didn’t even need to remove my seat! Yep. Leaving the ignition on can be a pain especially on the coils. 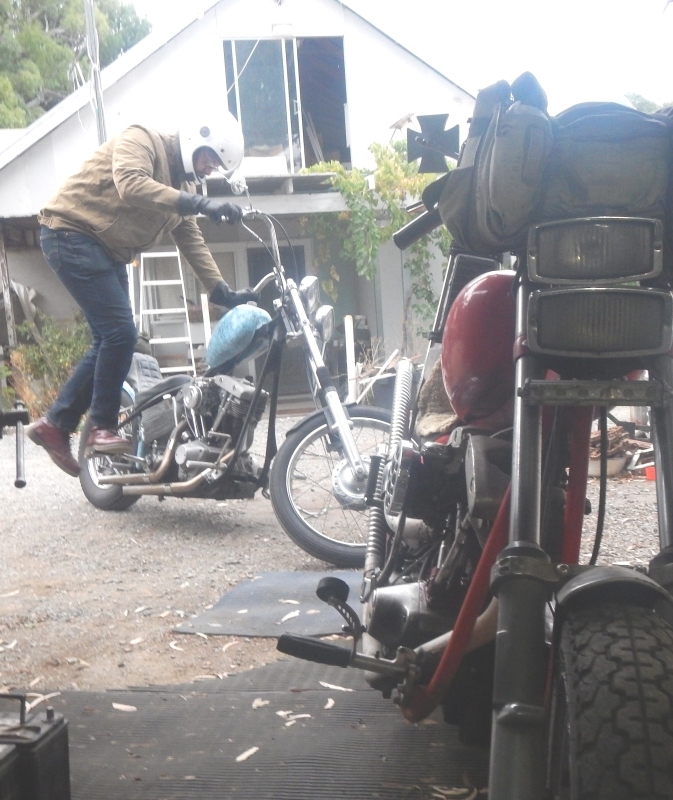 When Brian and I rode up to a Mad Max reunion at Silverton some years back. 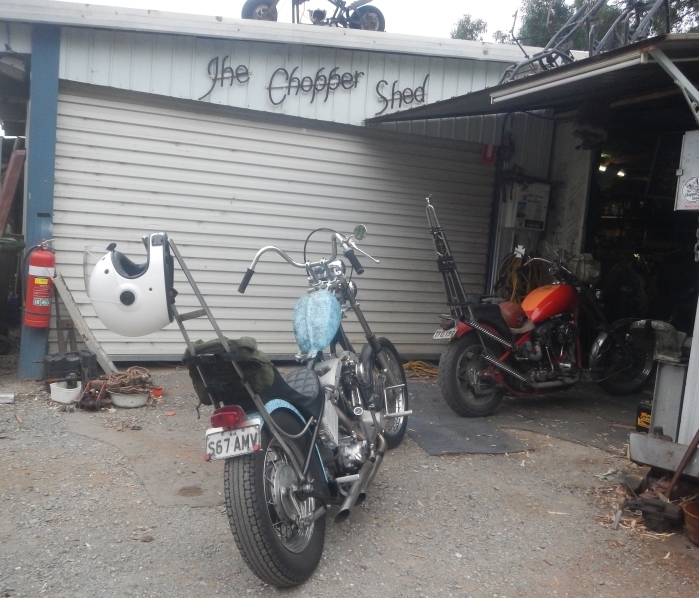 I left mine on while helping Brian sort out a bent foot peg when he dropped his chopper. Coils were just about boiling. Wouldn't start and I had to bump start it down a long hill. Took 10k's of backfiring before coils finally cooled enough to run ok again. Surprise rides out of the blue are usually pretty good as the ride just happens, as usual you have a good way with words and photo's, always enjoyable to read!